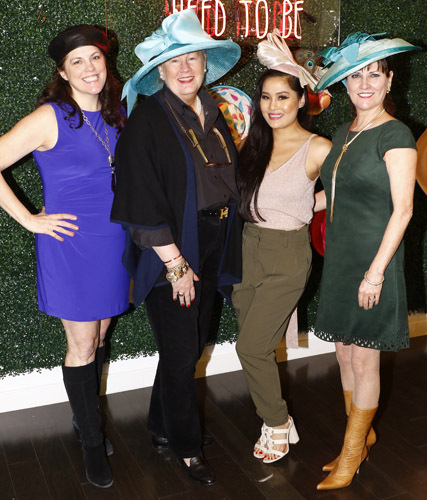 (Dallas, TX) It is always a festive and fun event when those involved with Mad Hatter’s Tea are celebrated. 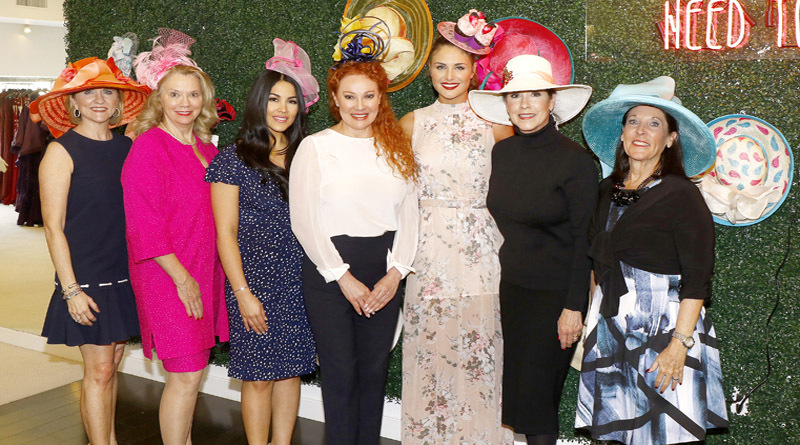 TOOTSIES in Preston Center hosted the Judges Reveal soirée enticing invitees with Mimosas and Millinery featuring spring’s finest frocks, hats and a personal appearance by milliner Christine A. Moore, who flew in from New York especially for this event. 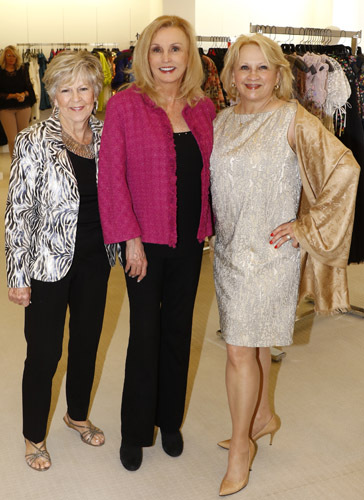 In addition to being the fashion show sponsor, TOOTSIES is a most generous host. 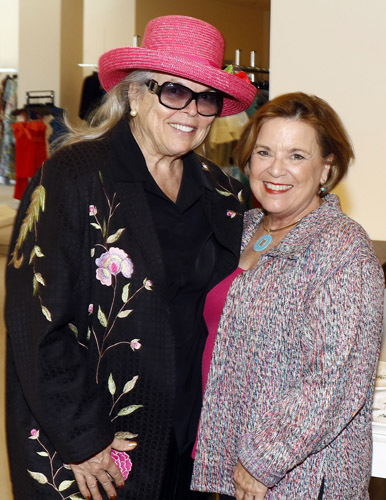 Along with Christine, they donated a portion of the proceeds from the sales of the hats back to the Women’s Council of the Dallas Arboretum and Botanical Garden, the Mad Hatter’s Tea beneficiary organization. Mad Hatter’s chair Venise Stuart with TOOTSIES District Manager, Nerissa von Helpenstill, host and fashion show sponsor. As everyone was having an absolute ball trying on hats and posing for photos, Mad Hatter’s Tea chair Venise Stuart was joined by Women’s Council president Melissa A. Lewis, as they beckoned the crowd together saying this is truly a year of celebration, Mad Hatter’s Tea 30th year anniversary and the Women’s Council’s 35th anniversary. They also thanked Linda Burk, honorary chair and Sandy Secor, co-chair. 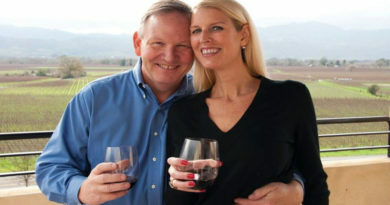 Tickets and tables are selling quickly for the Thursday, April 12th event. Themed A Garden By The Sea, it will reflect a time of grace, elegance, style and sophistication. Think of men in trousers, blue blazers and straw hats and women in elegant, long flowing dresses, parasols, hats with ribbons and lace with accessories of coral, sea shells and hydrangeas. The hat design possibilities are endless! Venise announced the following judges and hat design themes: Hat Judges: Patti Flowers, Patti Flowers Design Studio; Lee Fuqua, Duckworth Vodka; Empress Gilbert, Empressive GeoDesigns; Ali Nugent, 2013 Miss Texas and the 2013 Miss America, 5th Runner Up; Alanna Sarabia, WFAA co-host, Good Morning Texas; John Tesar, Chef, Knife and Knife Burgers; Joe Vilaiwan, Vilaiwan Fine Jewelry. Hat Categories are: All That Jazz – Best Group (4 or more). Men may participate in this one very special category with or without women in the group; To the Nines: People’s Choice: The Best of the Best as voted by the attendees; Elegance of Earlier Days: Most Sophisticated: Grace, Elegance and Whimsy; Gilded Age: True to Theme: Everything from the era of the Astors, Vanderbilts, Gettys; Grace and Folly: Most Creative: Shells and Pearls, Stepping Out; Peacocks on Parade: Best Botanical: Hats adorned with beautiful flowers. 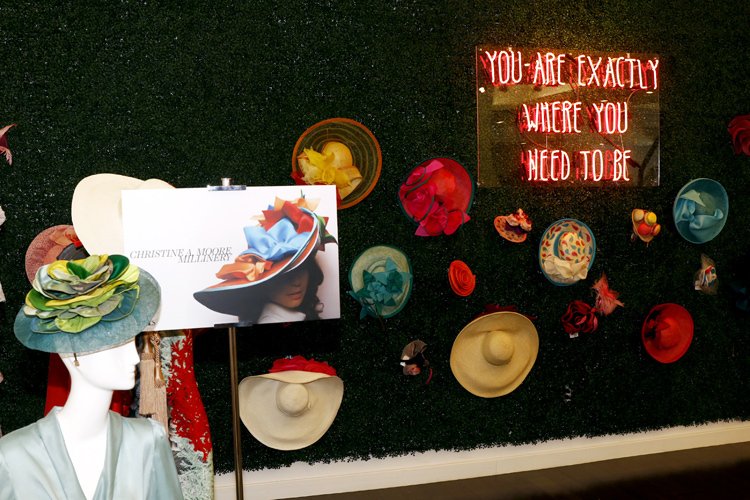 Nerissa von Helpenstill, managing director of TOOTSIES, introduced guest milliner Christine, who spoke about the special hand-made attention to detail as each hat is created. Afterwards, Christine took time with each customer, assisting in color choice and hat design to coordinate with their outfits. 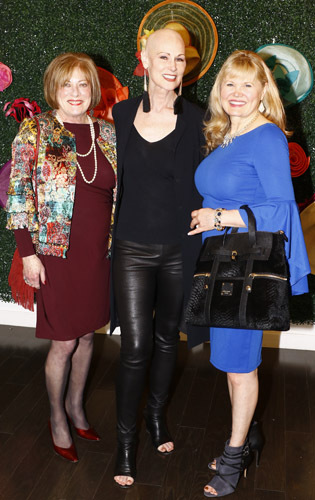 Mad Hatter’s Tea is a fabulous and fun party and has been an ongoing fundraising event sponsored by the Women’s Council of the Dallas Arboretum and Botanical Garden. Monies raised grow and maintain A Woman’s Garden, a major garden at the Dallas Arboretum. 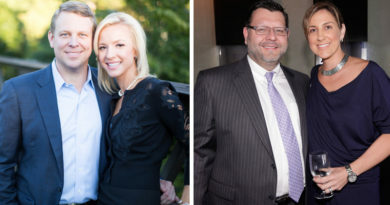 Over 450 guests, some from as far away as California, plan their trips to Dallas not only to take part in the Mad Hatter’s Tea Party – many in wild and wonderful over-the-top hats – but to view the glorious springtime azalea displays and flowers that grace the Dallas Arboretum. The morning begins with a champagne reception in Ginsburg Plaza, followed by a professionally staged and choreographed fashion presentation produced by the inimitable Jan Strimple and sponsored by TOOTSIES, followed by a seated luncheon under elegantly draped tents. Hats are judged in different categories. Winners are announced at the fashion show and strut the runway. 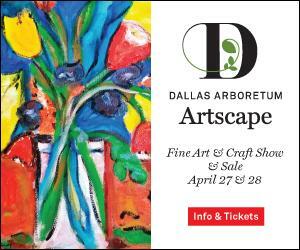 Media Sponsors are PaperCity Magazine, The Park Cities News/The Waters Family, MySweetCharity.com. Individual Patron tickets begin at $350 and can be purchased via the website at www.womenscouncildallasarboretum.org Underwriting opportunities and naming sponsorships are available. Contact Sharon Ballew, First Vice-President – Fundraising, at mslj01@sbcglobal.net or 214-282-1595. 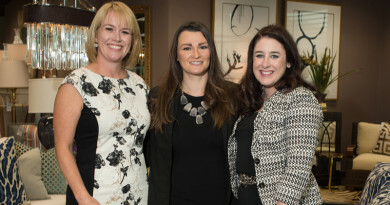 Beneficiary: Since its inception in 1982, the Women’s Council has supported the Dallas Arboretum and Botanical Garden. It funded and continues to develop and maintain A Woman’s Garden, the only public garden in the nation built by women and dedicated to the universal spirit of women.